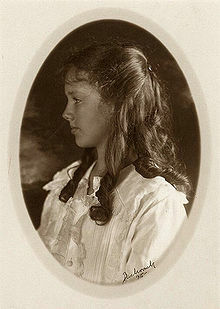 Anne Lindbergh, the daughter of Charles A. and Anne Morrow Lindbergh and sister of Reeve Lindbergh, grew up in a house filled with books and was encouraged in her writing of stories and poems at an early age. The author of numerous acclaimed novels for young readers, Anne Lindbergh died in 1993. She will long be remembered as, in the words of PUBLISHERS WEEKLY, a writer "of literary grace and a mesmerizing storyteller." The following is a personality profile of Anne Morrow Lindbergh based on her work. Anne Morrow Lindbergh is unconventional and excitable. She is empathetic, she feels what others feel and is compassionate towards them. She is laid-back as well: she appreciates a relaxed pace in life. But, Anne Morrow Lindbergh is also intermittent: she has a hard time sticking with difficult tasks for a long period of time.